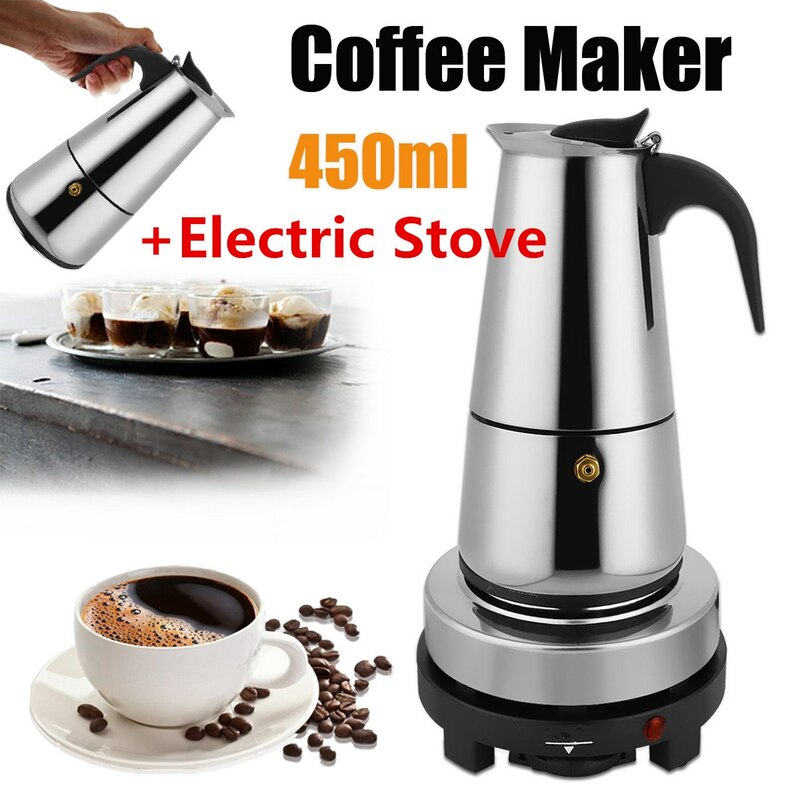 9 Cups Stainless Steel Moka 450ml Mocha Espresso Latte Stovetop Filter Coffee Maker Pot Percolator w/Electric Stove Ourdoor Home. * Made of top notch pure steel,not rust,durable and safe. 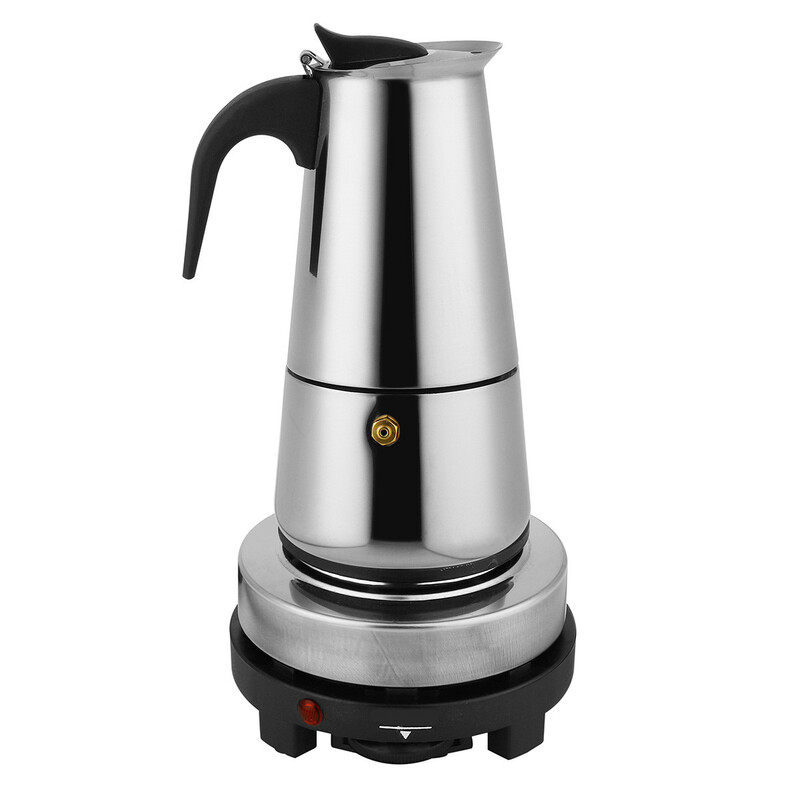 rich coffee espresso in minutes. create an excellent full bodied espresso enhance. * Large 450ml,9 glass capacity,perfectly address your issue. 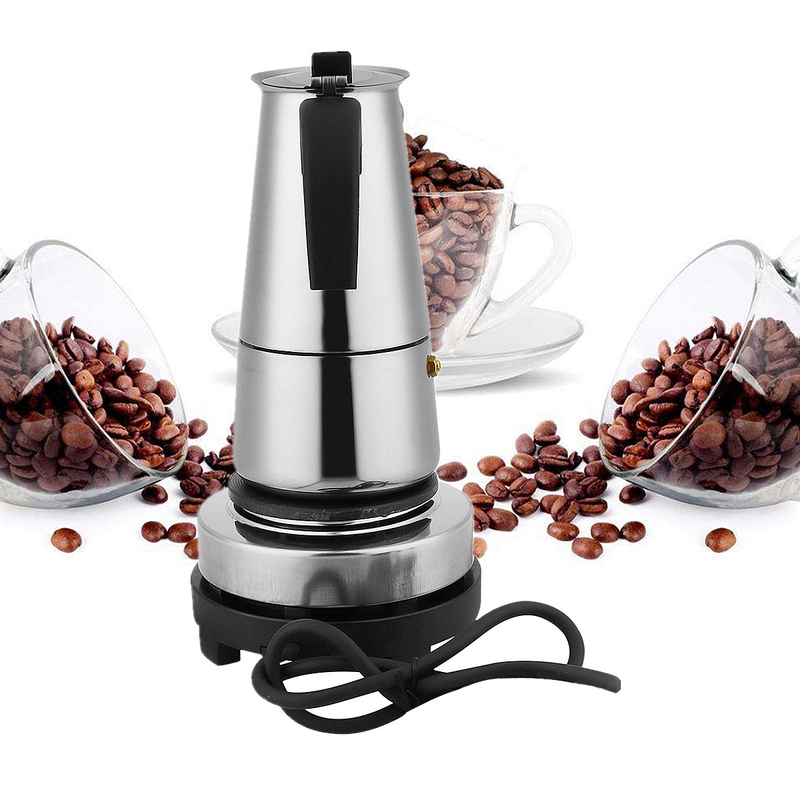 * With a security discharge valve to control the water weight, a main consideration in controlling the nature of your coffee. * Silicone handle keeps the hold cool and takes into consideration less demanding dealing with and pouring. * Carefully made of tempered steel and highlights a stay cool silicone handle on the flip top for simple, safe administering. * Dishwasher sheltered and simple to clean.